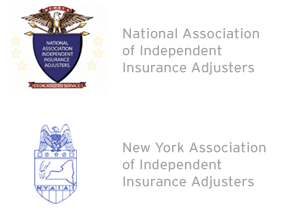 Your multi-line independent insurance adjustment company where we "adjust to your needs"! Cardinal has a history of responsive and effective claim service. From inception to closure, Cardinal Claim Service has experience in all forms of liability and tailors its services to the client’s needs and goals. The casualty unit handles general liability, automobile, products, professional, directors/officers and environmental liability claims. Assignments can be handled on a full or limited basis. Signed or recorded statements of insureds, claimants and witnesses. Obtain official reports and files including police, fire and building department records. Scene investigations, including photographs, diagrams and canvassing for witnesses. Secure all medical, hospital and physician records. Complete professional evaluation of liability exposure. Negotiate settlement of claims with third parties or their attorneys. Attend and assist on arbitration and mediation. © 2013 Cardinal Claim Service, Inc.